The W. M. Keck Observatory is a two-telescope astronomical observatory at an elevation of 4,145 meters (13,600 ft) near the summit of Mauna Kea in the U.S. state of Hawaii. Both telescopes feature 10 m (33 ft) primary mirrors, currently among the largest astronomical telescopes in use. With a concept first proposed in 1977, telescope designers at the University of California (Terry Mast) and Lawrence Berkeley Labs (Jerry Nelson) had been developing the technology necessary to build a large, ground-based telescope. With a design in hand, a search for the funding began. In 1985, Howard B. Keck of the W. M. Keck Foundation gave $70 million to fund the construction of the Keck I telescope. Construction of Keck I began in September 1985, with first light occurring on 24 November 1990 using only nine of the eventual 36 segments. With construction of the first telescope well advanced, further donations allowed the construction of a second telescope starting in 1991. The Keck I telescope began science observations in May 1993, while first light for Keck II occurred on October 23, 1996. The key advance that allowed the construction of the Keck Observatory's large telescopes was the ability to operate smaller mirror segments as a single, contiguous mirror. In the case of the Keck Observatory telescopes each of the primary mirrors is composed of 36 hexagonal segments that work together as a single unit. Each segment is 1.8 meters wide, 7.5 centimeters thick, and weighs half a ton. The mirrors were made from Zerodur glass-ceramic by the German company Schott AG. On the telescope, each segment is kept stable by a system of active optics, which uses extremely rigid support structures in combination with three actuators under each segment. During observation, the computer-controlled system of sensors and actuators adjusts the position of each segment, relative to its neighbors, to an accuracy of four nanometers. This twice-per-second adjustment counters the effect of gravity as the telescope moves, in addition to other environmental and structural effects that can affect the mirror shape. Each Keck Observatory telescope sits on an altazimuth mount. Most current 8–10 m class telescopes use altazimuth designs due to the reduced structural requirements compared to older equatorial designs. This mounting style provides the greatest strength and stiffness for the least amount of steel, which, for Keck Observatory, totals about 270 tons per telescope. The total weight of each telescope is more than 300 tons. Two of the proposed designs for the next generation 30 and 40 m telescopes use the same basic technology pioneered at Keck Observatory, a hexagonal mirror array coupled with an altazimuth mounting. The primary mirrors of each of the two telescopes are 10 meters (32.8 ft or 394 in) in diameter, slightly smaller than the Gran Telescopio Canarias. However, all of the light collected by the Keck Observatory primary mirrors (75.76 m2) is sent to the secondary mirror and the instruments, compared to GTC's primary mirror, which has an effective light-collection area of 73.4 m2, or 2.36 m2 (25.4 sq ft) less than each of the Keck Observatory primary mirrors. Because of this fundamental difference in design, Keck Observatory's telescopes arguably remain the largest steerable, optical/infrared telescopes on Earth. The telescopes are equipped with a suite of instruments, both cameras and spectrometers that allow observations across much of the visible and near infrared spectrum. 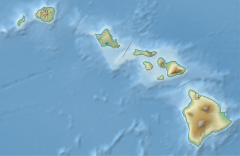 The Keck Observatory is managed by the California Association for Research in Astronomy, a non-profit 501(c)(3) organization whose board of directors includes representatives from Caltech and the University of California. Construction of the telescopes was made possible through private grants totaling more than $140 million provided by the W. M. Keck Foundation. The National Aeronautics and Space Administration (NASA) joined the partnership in October 1996, at the time Keck II commenced observations. Telescope time is allocated by the partner institutions. Caltech, the University of Hawaii System, and the University of California accept proposals from their own researchers. NASA accepts proposals from researchers based in the United States. Jerry Nelson was the project scientist for the Keck Telescope, and he also contributed to later multi-mirror projects until he died in June 2017. Nelson was behind one of the key innovations of the Keck telescope, the use of multiple thin segments acting as one mirror to provide the reflecting surface. MOSFIRE (Multi-Object Spectrometer for Infra-Red Exploration) is a third generation instrument for the W. M. Keck Observatory. MOSFIRE was delivered to Keck Observatory on February 8, 2012 and first light on the Keck I telescope was obtained on April 4, 2012. A Multi-Object Spectrograph For Infra-Red Exploration and wide-field camera for the near-infrared (0.97 to 2.41 μm), MOSFIRE's special feature is the cryogenic Configurable Slit Unit (CSU) that is reconfigurable under remote control in less than 6 minutes without any thermal cycling. Bars move in from each side to form up to 46 short slits. When the bars are removed MOSFIRE becomes a wide-field imager. The instrument was developed by teams from the University of California, Los Angeles (UCLA), the California Institute of Technology (Caltech) and the University of California, Santa Cruz, (UCSC). The Co- Principal Investigators are Ian S. McLean (UCLA) and Charles C. Steidel (Caltech), and the project was managed by WMKO Instrument Program Manager, Sean Adkins. MOSFIRE was funded in part by the Telescope System Instrumentation Program (TSIP), which is operated by AURA and funded by the National Science Foundation, and by a private donation to WMKO by Gordon and Betty Moore. The Deep Extragalactic Imaging Multi-Object Spectrograph is capable of gathering spectra from 130 galaxies or more in a single exposure. In "Mega Mask" mode, DEIMOS can take spectra of more than 1,200 objects at once, using a special narrow-band filter. The largest and most mechanically complex of the Keck Observatory's main instruments, the High Resolution Echelle Spectrometer breaks up incoming light into its component colors to measure the precise intensity of each of thousands of color channels. Its spectral capabilities have resulted in many breakthrough discoveries, such as the detection of planets outside our solar system and direct evidence for a model of the Big Bang theory. This instrument has detected more extrasolar planets than any other in the world. The radial velocity precision is up to one meter per second (1.0 m/s). The instrument detection limit at 1 AU is 0.2 MJ. The Keck Cosmic Web Imager is an integral field spectrograph operating at wavelengths between 350 and 560 nm. The Low Resolution Imaging Spectrograph is a faint-light instrument capable of taking spectra and images of the most distant known objects in the universe. The instrument is equipped with a red arm and a blue arm to explore stellar populations of distant galaxies, active galactic nuclei, galactic clusters, and quasars. The Long Wavelength Spectrometer for the Keck I telescope is and imaging, grating spectrometer working in the wavelength range of 3-25 micros. Like NIRC, the LWS was a forward-CASS instrument, and was used for studying cometary, planetary, and extragalactic objects. The LWS is now retired from science observations. The Near Infrared Camera for the Keck I telescope is so sensitive it could detect the equivalent of a single candle flame on the Moon. This sensitivity makes it ideal for ultra-deep studies of galactic formation and evolution, the search for proto-galaxies and images of quasar environments. It has provided ground-breaking studies of the Galactic center, and is also used to study protoplanetary disks, and high-mass star-forming regions. NIRC was retired from science observations in 2010. The second generation Near Infrared Camera works with the Keck Adaptive Optics system to produce the highest-resolution ground-based images and spectroscopy in the 1–5 micrometers (µm) range. Typical programs include mapping surface features on Solar System bodies, searching for planets around other stars, and analyzing the morphology of remote galaxies. The Near-Infrared Echellette Spectrometer is a spectrograph that provides simultaneous coverage of wavelengths from 0.94 to 2.45 microns. The Near Infrared Spectrometer studies very high redshift radio galaxies, the motions and types of stars located near the Galactic Center, the nature of brown dwarfs, the nuclear regions of dusty starburst galaxies, active galactic nuclei, interstellar chemistry, stellar physics, and Solar System science. The OH-Suppressing Infrared Imaging Spectrograph is a near-infrared spectrograph for use with the Keck I adaptive optics system. OSIRIS takes spectra in a small field of view to provide a series of images at different wavelengths. The instrument allows astronomers to ignore wavelengths where the Earth's atmosphere shines brightly due to emission from OH (hydroxyl) molecules, thus allowing the detection of objects 10 times fainter than previously available. Originally installed on Keck II, in January, 2012 OSIRIS was moved to the Keck 1 telescope. The Interferometer allowed the light from both Keck telescopes to be combined into an 85-metre (279 ft) baseline, near infrared, optical interferometer. This long baseline gave the interferometer an effective angular resolution of 5 milliarcseconds (mas) at 2.2 µm, and 24 mas at 10 µm. Several back-end instruments allowed the interferometer to operate in a variety of modes, operating in H, K, and L-band near infrared, as well as nulling interferometry. As of mid-2012 the Keck Interferometer has been discontinued for lack of funding. The instrument is currently in mothballed status and could be reactivated if funding permits. Both Keck Observatory telescopes are equipped with laser guide star adaptive optics, which compensates for the blurring due to atmospheric turbulence. The first AO system operational on a large telescope, the equipment has been constantly upgraded to expand the capability. Left: The summit of Mauna Kea is considered one of the world's most important astronomical viewing sites. The twin Keck telescopes are among the largest optical/near-infrared instruments currently in use around the world. ^ Lynn Yarris (1992). "Keck Revolution in Telescope Design Pioneered at Lawrence Berkeley Lab". Retrieved October 7, 2016. ^ Hans F. Morian; Peter Hartmann; Ralf Jedamzik; Hartmut W. Höneß. "ZERODUR for Large Segmented Telescopes" (PDF). SCHOTT Glas. ^ Lewis, Hilton. "In Memoriam: Jerry Nelson, Legendary Telescope Designer". Scientific American Blog Network. Retrieved 2017-06-16. ^ "MOSFIRE science based capabilities". ^ NASA. "Kepler Discoveries - About Follow-up Observations". NASA. ^ "The NASA-UC Eta-Earth Survey At Keck Observatory". Chinese Academy of Sciences. 2010-10-16. Archived from the original on 2011-07-04. Retrieved 2015-02-21. Wikimedia Commons has media related to W. M. Keck Observatory. Photos of Keck telescopes and other Mauna Kea observatories from "A Gentle Rain of Starlight: The Story of Astronomy on Mauna Kea" by Michael J. West. ISBN 0-931548-99-3. This page was last edited on 16 April 2019, at 16:27 (UTC).